When psychologist Stanley Hall first started thinking about adolescence as a phase of development in 1904, he concluded that adolescence was a universal time of storm and stress and that teenage angst was a rite of passage, however recent research suggests that this is a myth and reflective of the social climate. Clinical depression is not a normative part of adolescent experience and raises many red flags. Low mood, pessimistic outlooks, and feelings of hopelessness are not a phase, but rather linked to chemical imbalances and problems with adjustment. The line between depressed mood and clinical depression is blurry and it can be hard to determine when to be concerned enough to reach out for help. Common stigmas associated with depression are that people can “just snap out of it” or that they are “overreacting.” These myths are not only prevalent in society but internalized by people who cling to the desire to “just feel better,” even though it is not always that simple. Despite stigma about reaching out for help, people are recognizing that depression and suicidal ideation are becoming an epidemic. According to the Center for Disease Control, over 44,000 Americans die by suicide every year. For every suicide, there are 25 suicide attempts. Many people who attempt suicide are not hospitalized or do not have access to residential depression treatment, however it does not have to get to that point before it feels appropriate to consider whether an inpatient program would be beneficial for your teenager. When does Depressed Mood Warrant a Diagnosis? One reason that emotional instability is accepted as a common occurrence in adolescence is due to hormonal changes and the development of the ability to think abstractly about one’s values. Combined with the horrors of high school hallways, it is easy to understand that adolescence is a confusing and stressful period where the future may look dim. Depression is a vague umbrella term that is included in the definition of multiple mood disorders and exists on a continuum from more transient depressed mood states to more severe, chronic forms. An episode of severe, chronic depression is referred to as Major Depressive Disorder and is characterized by depressed mood, lack of or loss of interest in activities, change in appetite, fatigue, feelings of worthlessness, difficulty concentrating, and suicidal ideation, with symptoms lasting at least two weeks. Why Are the Rates of Teenage Depression on the Rise? Attempts to talk more openly about mental illnesses like depression have resulted in broader definitions of depression and a parallel shift in the increase of lifetime prevalence of diagnoses. Psychologists are either getting better at identifying signs of depression or depression is becoming normalized as a rite of passage through using social media as a platform for conversation. Social Media and information technology give younger children access to more information than one could possibly imagine and although their brains are able to generally process what they are exposed to, they may not fully understand the messages they are being flooded with. With these technologies, we are more connected to people’s virtual profiles but less engaged in person. Social media is often used as a tool for cyberbullying, exclusion, and presenting false selves, which negatively affect one’s self esteem. Social media can also be a way to reach out for support or as a cry for help for teenagers struggling with depression. As rates of depression skyrocket, the number of young people actively seeking support and self-improvement has increased both on and offline. 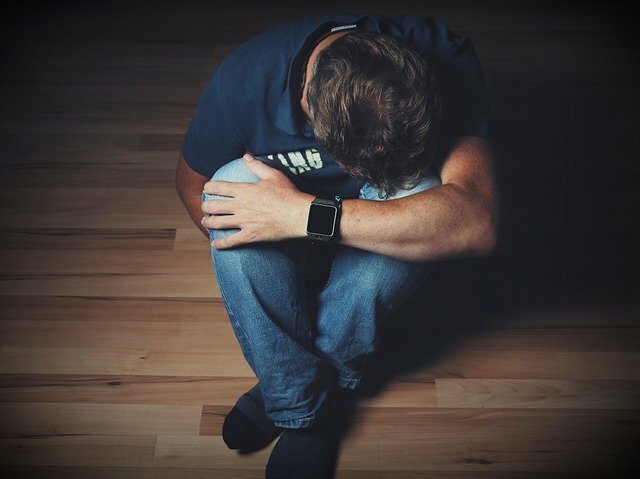 Although clinical depression is not a trend that teenagers will age out of like other risky behaviors and is rooted in biological abnormalities, teenagers can benefit from treatment interventions for depression that encourage them to identify their strengths and develop positive outlets to cope with their negative thinking. If you are worried about how your child’s depression has prevented them from seeing how much light surrounds them, deciding to send them to a treatment center where they are surrounded by peer support and professionals can help free them from the trap of their comfort zone and teach them to tend to their inner fire. Wilderness Therapy takes students out of “the world of clocks” where they are heavily reliant on technological information overload and places them in a simpler environment where they learn to be self-reliant, to connect with nature, to improve their self-esteem and to build relationships from the ground up. Many students come to blueFire Wilderness after experiencing conflict in relationships, decline in their academic performance, issues with self-image, and years of internalized shame. Neuroscientists have found that spending time outside increases one’s sense of calmness and their ability to show empathy. Adventure therapy and outdoor play present physical challenges to students who are used to spending more time with technology than with nature, however, is emotionally rewarding in building self-efficacy and confidence for those struggling with depression. blueFire Wilderness is a wilderness therapy program that offers residential treatment for depression for teens ages 11 to 17 and young adults 18-28. We understand that this is a difficult and confusing time for the whole family, but we’re here to guide you through it. At blueFire, we strive to help each student discover their inner spark that fuels their personal growth and success.